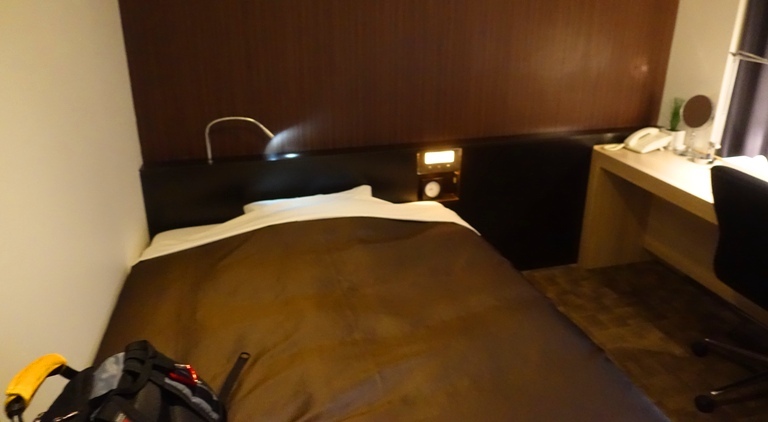 During my trip last week to Japan I stayed in some small hotel rooms. 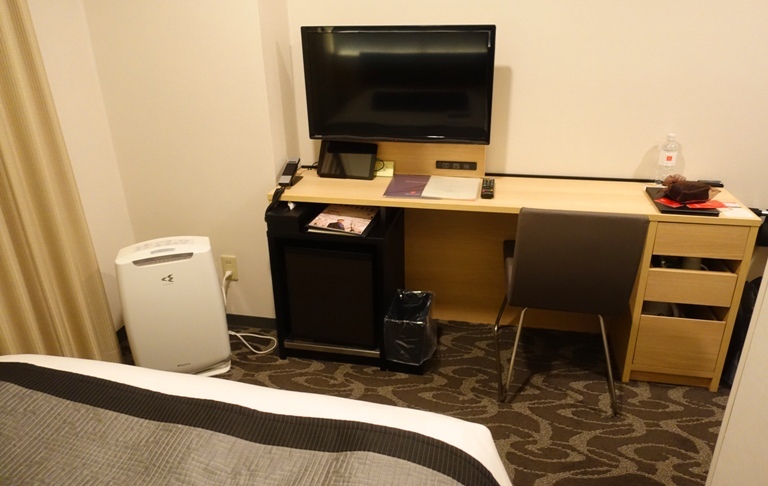 Space is at a premium in Japan, so business hotels usually have pretty small rooms. The first two nights were spent in the same hotel in Tokyo, but for the rest of the trip I had to pack again each morning. It is hard to tell here, but I had less than three feet between the bed and the desk area where the TV and outlets were. 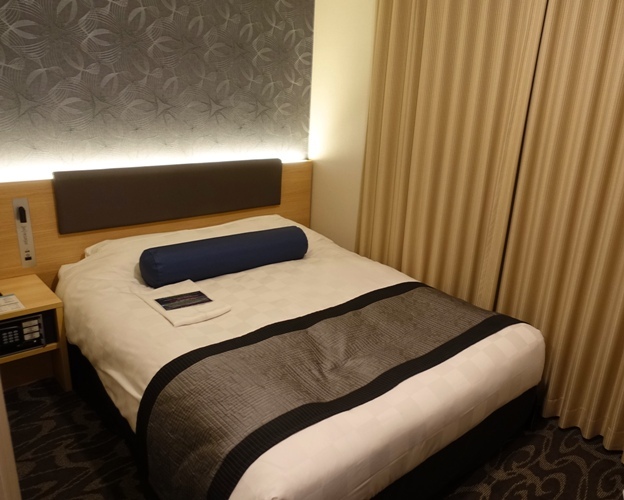 The second night I was in Osaka and when I checked in the front desk clerk told me that I had an upgrade. I really wonder how small the basic room was in this hotel. The room was nicely decorated and everything looked new, so perhaps it was more about the condition than the size of the room. I stayed at this hotel years ago and it was not this nice then. With the second bed I was able to easily access my suitcase and spread everything out to repack a little better. 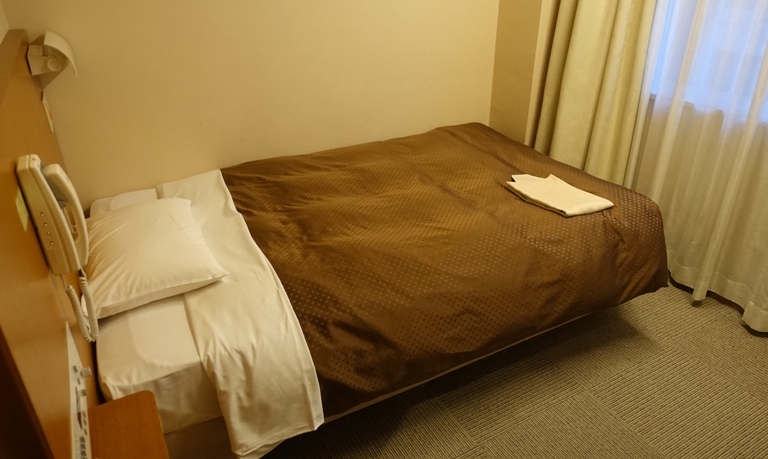 My last night in Japan was again spent in Osaka, but at a different hotel. I did have a nice view out the window as I worked on my computer. I was staying on the 20th floor, so was looking down on part of the city. These are not the smallest rooms I have stayed in. That distinction would go to a few hotels in London. I stayed in one where it was basically all bed and bathroom. I had to store my suitcase in the bathroom over night just so I could sleep. No real complaints though as I spent very little time in the rooms during the trip and all I really need in a room is a bed and a bathroom. 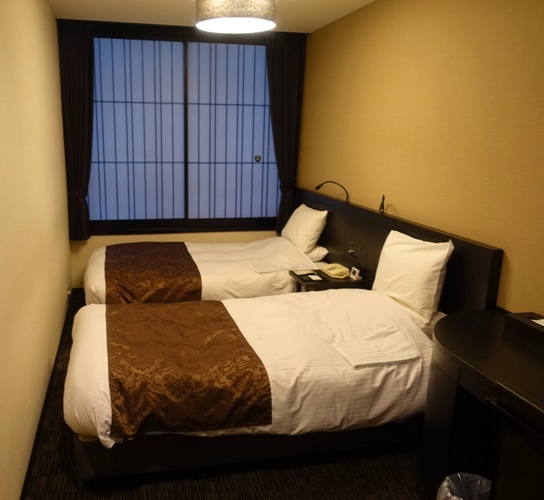 This entry was posted in Culture, Japan, Travel and tagged Hotel rooms, Kyoto, little rooms, Osaka, sleeping, Tokyo. Bookmark the permalink.